Today, South Korean mobile phone maker Samsung Electronics will make official its next handset in the popular Galaxy lineup, expected to arrive on shelves as the flagship Galaxy S IV. The handset has made it to the headlines quite a few times in the past several months, but today, all of its features and hardware specifications will be formally introduced to the world. The launch will take place in New York, at an event set to be streamed live in Times Square, where Samsung has been teasing the device for the past week or so. The press event will kick off at 7PM ET, or 11PM GMT for users in Europe, and we’ll be here to provide you with the latest details on the upcoming smartphone. Before that, however, you might want to have a look at some of the rumored specs of the device, starting with the new 8-core Exynos 5410 processor clocked in at 1.8GHz (though some suggest that a Snapdragon 600 CPU might be included in the device in some markets). The handset is also said to sport 2GB of RAM, 16GB / 32GB / 64GB of internal memory, with a microSD memory card slot to allow for further storage expansion. On the front, there should be a 5-inch full HD screen that will also offer support for floating touch, paired with a 2.1MP camera. A 13-megapixel photo snapper on the back should provide users with an appealing imaging experience, as well as with full HD video recording capabilities. The usual set of connectivity capabilities will also be included inside the smartphone, along with the entire range of sensors, rumor has it. On top of that, the phone is expected to sport eye-tracking features, so that users would be able to scroll web pages without even touching the device. Furthermore, it was said to include SwiftKey's predictive technology and to be able to shoot with both front and back cameras at the same time. All in all, it appears that there’s nothing left for Samsung to announce, except maybe for the phone’s design, availability and pricing. And of course, it still has to confirm all these rumors, so check out this page again as soon as the launch event kicks off to learn what the handset vendor has to say on the smartphone. 6.58PM ET: We're only a few minutes away from the event. President and head of IT and mobile communications division at Samsung, JK Shin, takes the stage to announce the new Galaxy. JK Shin mentions Smart Scroll and Smart Pause, Dual Camera, S Health and more. 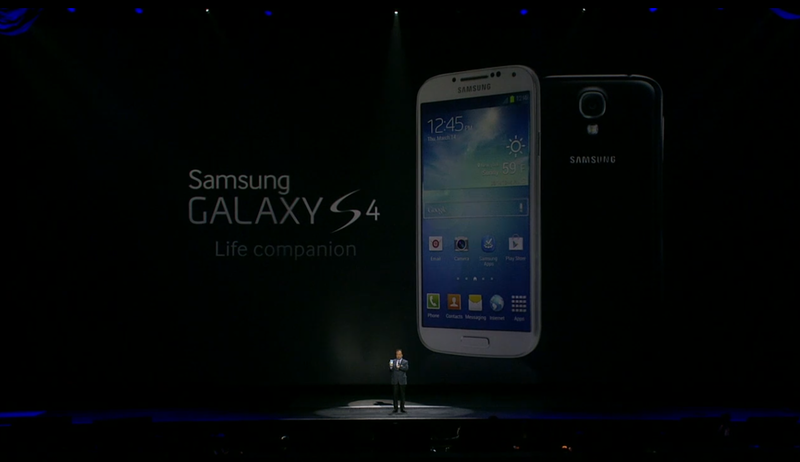 Galaxy S IV is now official, will arrive in shelves at the end of April. full HD screen, 441ppi pixel density, a new user experience, a new look and feel. 4G LTE connectivity packed inside, 100Mbps on the downlink and 50Mbps on the uplink. 2GB of RAM, 16GB / 32GB / 64GB memory options, with MicroSD memory card slot. Galaxy S IV comes with Dual Camera video shooting capabilities, being able to capture not only the scene the user is looking at, but also the user capturing it. Dual Camera also works for taking photos. Galaxy S IV comes with S Translator app. 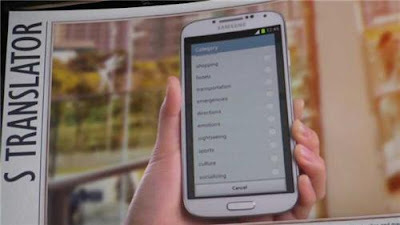 Users type words in English and the smartphone will read them aloud in the language of their choice. It supports 9 languages at the moment. 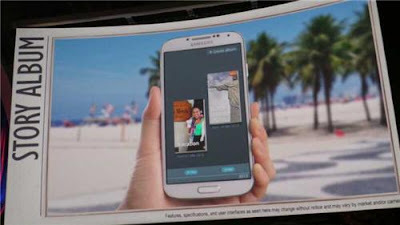 More new features in Galaxy S IV: Adapt Display, Story Album (albums can also be printed, courtesy of a collaboration with Blurb), and HomeSync with screen mirroring. 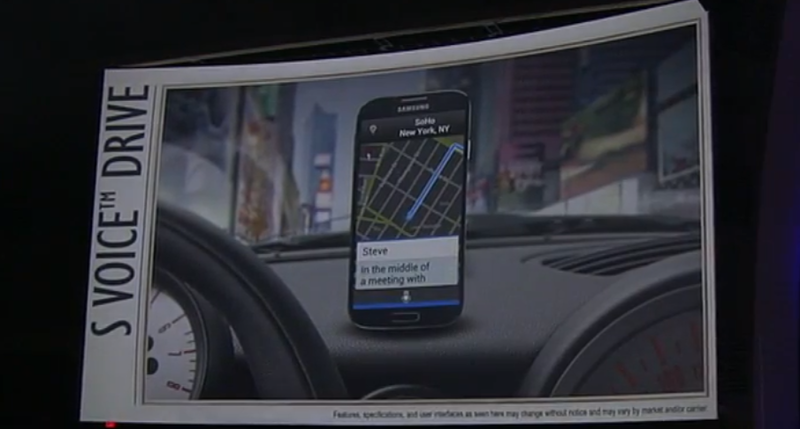 S Voice Drive, a new feature aimed at enabling users to better interact with the device while driving. 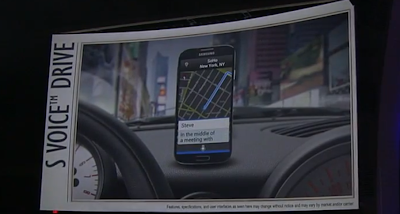 It can work as a personal assistant, Samsung claims. 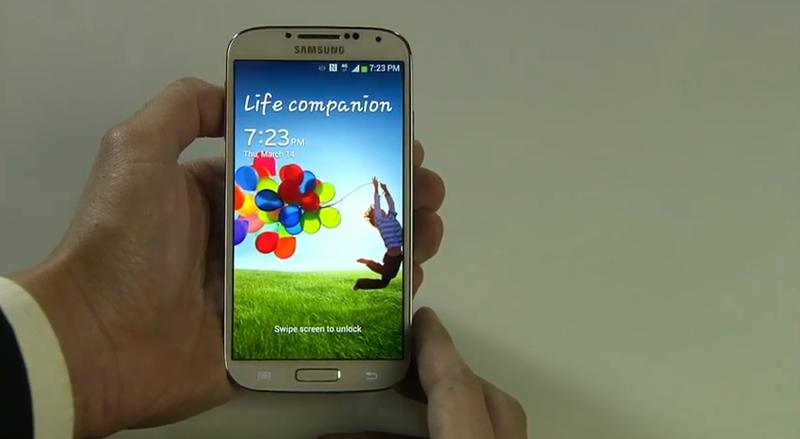 Galaxy S IV can also be operated with gloves on (a feature that Nokia included in their Lumia 920 last year). 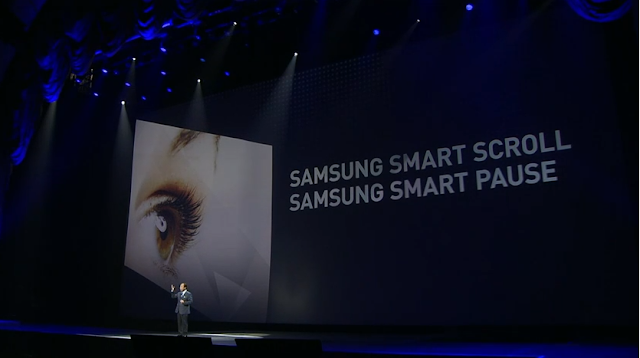 Samsung Hub and Samsung Knox also included inside the new smartphone. The handset also comes with S Health (and an S Band - fitbit) S View Cover, Group Play, Samsung WatchON, and a great deal of other features as well. The event is over, with Galaxy S IV expected to become available globally starting with Q2.